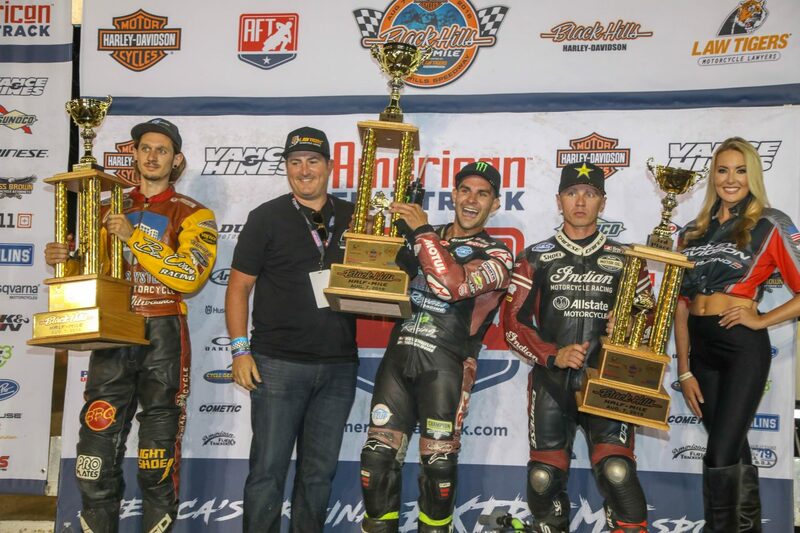 RAPID CITY, SD (AUGUST 8, 2018) – In its second season of American Flat Track competition, Indian Motorcycle Racing has secured consecutive Manufacturer’s Championships. 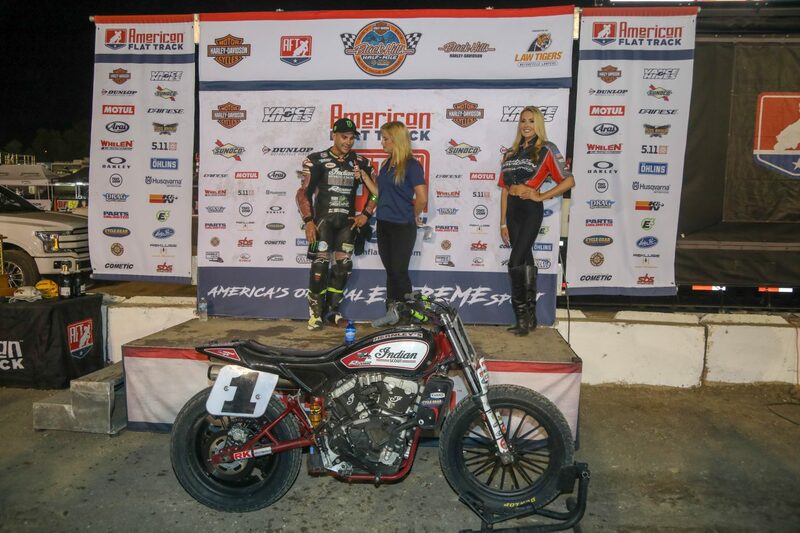 At the forefront of the championship season is Wrecking Crew rider Jared Mees, who returned to the top of the podium for the 10th time this season at the Black Hills Half-Mile. 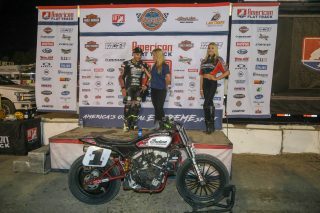 Mees piloted the Indian Scout FTR750 and won a hard-fought race by a mere .032 seconds over Indian Motorcycle privateer Jeffery Carver Jr. (Roof-Systems, Indian of Metro Milwaukee). 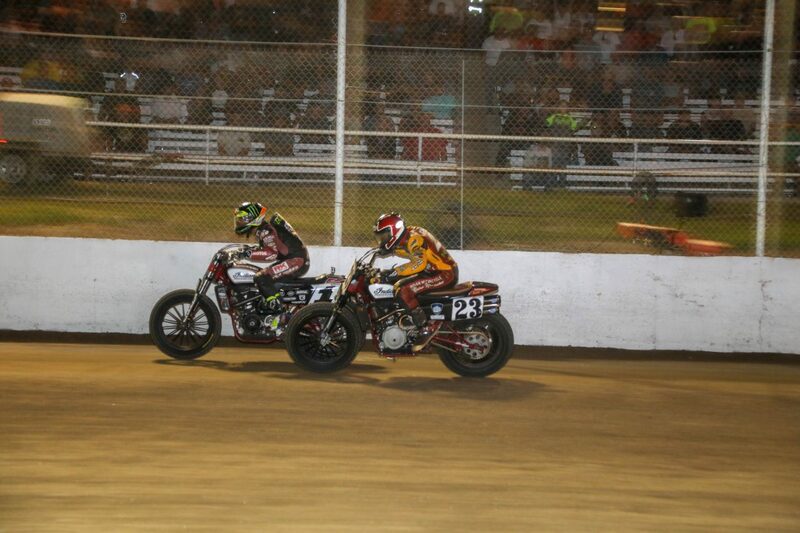 The epic battle saw multiple lead changes as the two stretched their lead from the rest of the pack. Wrecking Crew rider Bryan Smith returned to action and finished third on the box, completing an all-Scout FTR750 podium sweep for the ninth time this season. Through 13 races, Mees has secured 10 wins, two second-place finishes and totals a remarkable 290 points at the top of the leaderboard. With five races remaining, Mees is 102 points ahead of the second-place rider, Henry Wiles (Bandit Industries/Wilco Racing/Willy Built). 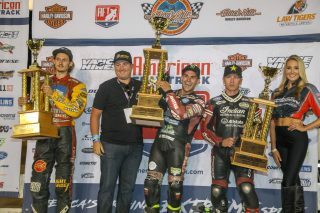 The Indian Wrecking Crew and stable of privateers aboard the Scout FTR750 will continue its season on August 18 at the Peoria TT.